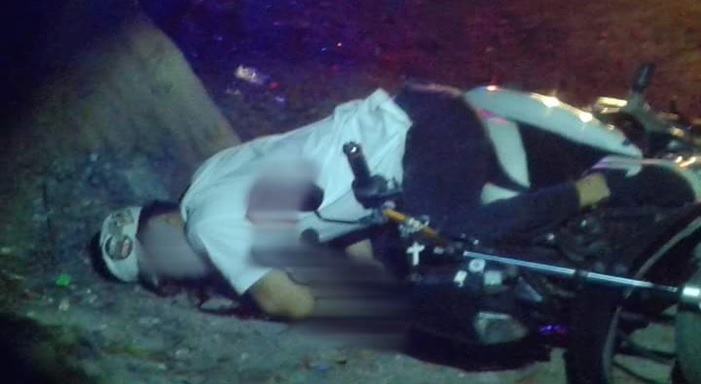 The unidentified assailant shoots the victim, a habal-habal driver, multiple times as he parks his motorcycle. The number two drug personality in Panglao was gunned down by an unidentified suspect on Sunday dawn in Barangay Das-ag of the said town. The fatality, identified as Edward Arcay, 50, was shot multiple times in the head and body by the unknown gunman near the victimâ€™s home. Arcay, who was a habal-habal driver, was parking his motorcycle when he was approached and shot dead by the suspect, a police report said. According to Senior Insp. Jomar Pomarejos, Panglao police chief, Arcay replaced his slain brother, Tirso Arcay, as a big-time pusher in the municipality. Tirso Arcay was also killed by an unidentified suspect in February, this year. Pomarejos said that Edward Arcay was subjected to Oplan Tokhang but refused to surrender to town authorities. Police are looking at revenge as possible motive behind the killing of Edward Arcay who was facing an attempted homicide case before his death. In the same statement, Pomarejos noted that some of the illegal drugs being sold in Panglao are from the New Bilibid Prison in Muntinlupa City. The contraband items from Bilibid are transported through the cities of Dumaguete and Cebu, he said. Drugs peddled by slain dismissed police Rolex Tamara were reportedly sourced from the national penitentiary. According to authorities, Tamara, who was gunned down in Cortes earlier this month also by an unidentified assailant, was an associate of Arcay.